Blue Ocean Strategy (BOS) is a systematic method of creating new, profitable markets without competition – known as “blue oceans”. For many companies the starting point for their Blue Ocean Strategy is the painful recognition that they currently find themselves within a “red ocean”. A “red ocean” is to be understood as a saturated market, characterised by fierce competition, comparable and easily interchangeable products and/or services, price wars and strong pressure on margins. With the help of a Blue Ocean Strategy, companies can successfully escape these shark-infested waters and open up new areas of growth. What differentiates BOS from conventional competitive strategies? Blue Ocean Strategy is fundamentally different to conventional competitive strategies – known in this context as “Red Ocean Strategy”. The world views behind both strategic options are fundamentally different. Red Ocean Strategy has its origins largely in warfare. With Red Ocean Strategy companies concentrate on existing markets and compete with their competitors for limited demand. Under this outlook market participants choose a certain conventional strategy in order to be as competitive as possible. Classically the decision has to be made between “qualitative leadership” (higher quality than the competition) and “price leadership” (cheaper than the competition) – according to the teachings of American management theorist Michael Porter. With Blue Ocean Strategy companies are not focused on their competitors. ”Blue Ocean Strategy companies” consciously sidestep their competitors and focus their activities on creating new, profitable markets in which there is no competition. This is systematic thinking outside of the box, thereby targeting the development of totally new innovations with which they can open completely new growth potentials. This enables “Blue Ocean Strategy companies” to gain so-called “non-customers” of their industry through new offerings. ”Blue Ocean Strategy companies” do not have to make the decision between “higher quality” or “lower cost”. They can combine these apparent contradictions in newly-created offerings. This means that “Blue Ocean Strategy companies” create on the one hand new benefit dimensions that appeal to “non-customers”. Simultaneously however they avoid expensive – and for new customer groups largely irrelevant to their decision – offer components in order to thereby deliberately conserve costs. “Blue Ocean Strategy companies” thereby make their former competitors irrelevant and lay the foundations for strong, profitable growth. Where did Blue Ocean Strategy originate? The Blue Ocean Strategy method was developed by the Korean Professor W. Chan Kim and his Canadian colleague Professor Renée Mauborgne at the renowned INSEAD Business School in Fontainebleau near Paris. The method is based on the results of 15 years of research, during which the professors analysed more than 100 leading companies in 30 various industries. All of these companies had been successful in opening up concealed markets through innovative products, services or entire business models. These ground-breaking innovations were described by W. Chan Kim and Renée Mauborgne as “blue oceans”. 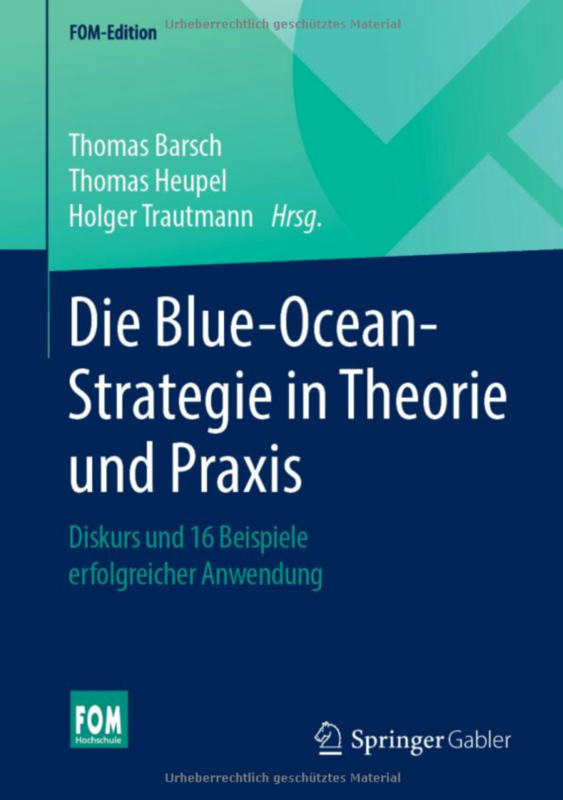 Are there any figures that evidence the success of Blue Ocean Strategy? The professors established that “blue oceans” were proportionately rarely created, however as a result this helped their creators achieve massive commercial and economic success. When considering all of the innovations analysed by the professors, “blue oceans” made up only 14% of these. The remaining 86% were merely minor changes to existing offerings (e.g. repositionings or line extensions). This group of new launches was not aimed at the opening up of new markets. Rather the aim of these was merely building on the existing competitive position in “red oceans”. The commercial and economic success of these “launches within red oceans” was average. In contrast, “blue oceans” generated 38% of the total sales revenues of the companies and even 61% of their overall profit. What is the company 'Blue Ocean Strategy Partners' offering? 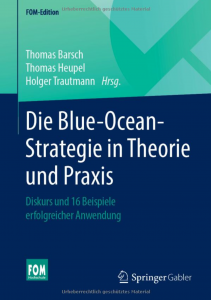 Blue Ocean Strategy Partners, as a specialised management consultancy, operates as a leading expert on application of the Blue Ocean Strategy method in the German-speaking countries. Based on the Blue Ocean Strategy framework of thinking, we have implemented systematic project processes and training processes, continually developing them further in over ten years of application in practice. We guide highly-regarded companies of a very wide range of sizes and of industries, in implementing their individual Blue Ocean growth strategies.